Click here to check out our growing “Comes To Auburn” archive. 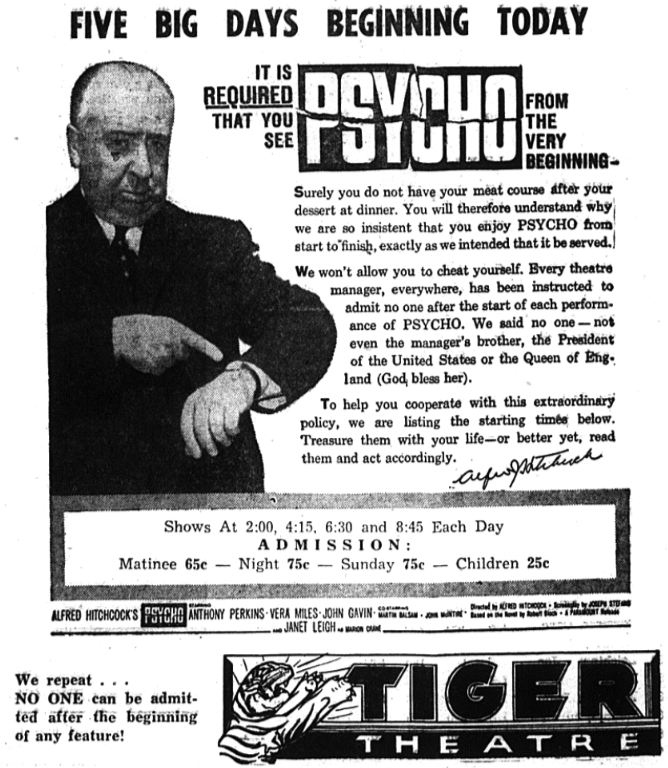 I saw “Psycho” for the first time at the free movie in Langdon Hall my freshman year, about 14 years after this. I could not sleep that night. Look at those outrageous ticket prices!!! Back in my day it only cost us 10¢!!! Children for $0.25! They let kids in?? WOW!